I have another Skin Care video up on YouTube! I have a link to my Video here as well as write up of my recipe and process if you prefer to read about it linked here. One thing to keep in mind is that a little of this goes a really really long way so use it sparingly. I use the moisturizer for both my face and body and only need to apply it once a day and prefer to do so at night, this way I know it gets absorbed into my skin before applying anything like makeup. 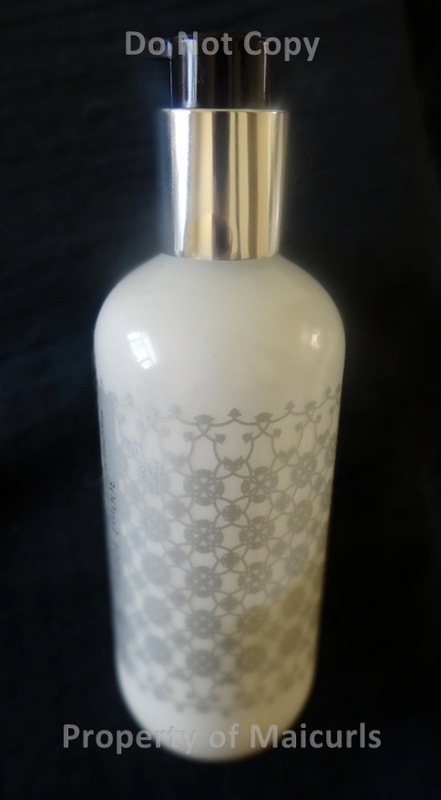 This entry was posted in Coconut Oil for skin, DIY Fluffy Coconut Oil - Cream, Moisturizing Skin, Natural Moisturizer, Skin Care, Skin Care Routines and tagged coconut oil for skin care, coconut oil moisturizer, diy coconut oil moisturizer, DIY Fluffy Coconut Oil-Cream on February 23, 2014 by Maicurls. This is going to be more of a “I’m so excited I had to share” post! If you have not already noticed I am a big fan of Aloe Vera and with good reason too (if you ask me.) I do not want to repeat myself but it is great for our hair and skin. Keep in mind that it is known to be a “mild laxative” and is also known to lower blood sugar levels therefore you should consult your doctor/physician before consuming AVJ. I honestly just wanted to showcase the fact that I got not one but two HUGE plants and one little one! I normally would “borrow” a few leafs from my mother’s plant whenever I could so I finally decided to get some and here are a few pictures of the leafs I cut. Look at how HUGE they are! I am so excited. The “baby” plant needs TLC in order for it to grow but grow it shall! Alright enough raving for today! P.S. 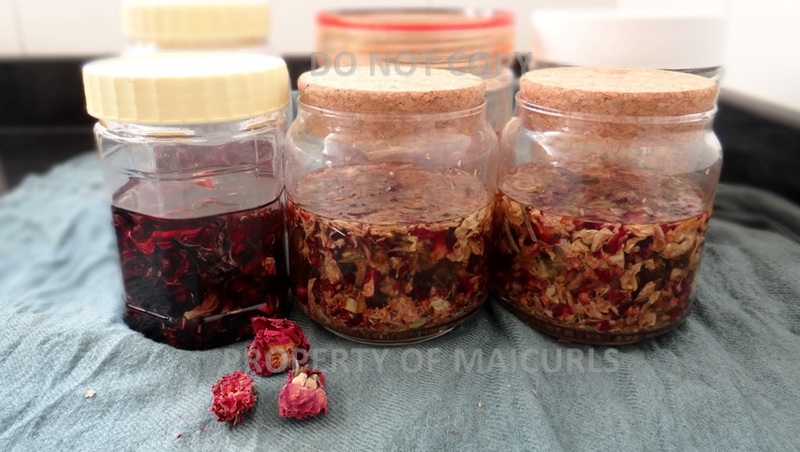 I have already touched upon the benefits of AVJ and how I use it in my DIY Hair Gel and my DIY Creamy Leave-In Conditioner and Spray Leave-In Conditioner. IMPORTANT! I am not a Doctor, Physician nor a Cosmetologist. I am just providing information for educational purposes and any use thereof is solely at your own risk. The information contained herein is not intended to be a substitute for professional medical advice, diagnosis or treatment in any manner. Always seek the advice of your physician or other qualified health provider with any questions you may have regarding any medical condition. Once you have done that, do patch tests before you put anything all over your head or skin. Please consider this as my advice. You are responsible if you choose to follow some of my methods. 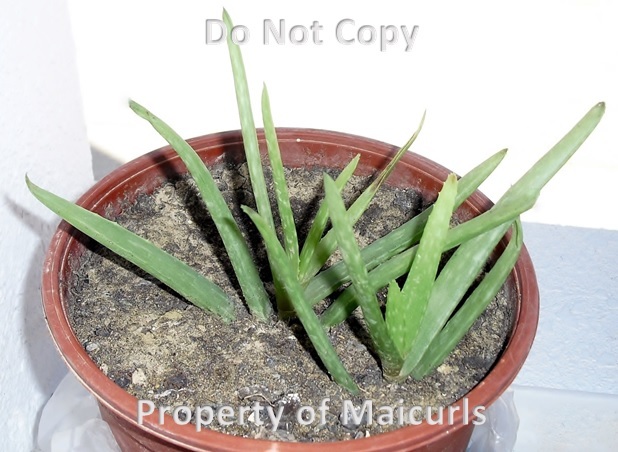 This entry was posted in Aloe Vera Juice for Hair, Aloe Vera Juice for Health, Aloe Vera Juice for skin, moisturizing hair, Moisturizing Skin, Natural Ingredients for curly hair, Natural ingredients for skin, Natural Moisturizer, Natural Skin Toner, Skin Care, Skin Care Routines and tagged Aloe Vera Juice for Hair, Aloe Vera Juice for Health, Aloe Vera Juice for Skin, Moisturizing Hair, Moisturizing skin, Natural Ingredients for curly hair, Natural ingredients for skin, Natural Moisturizer, Natural Skin Toner, Skin Care, Skin Care Routines on February 20, 2014 by Maicurls. I have oily-sensitive skin and a lot of the store bought products I have used in the past have either done great to stop the oiliness but reeked havoc on my sensitive skin or I would end up with extremely dry skin, break out in rashes or spots. So in order to avoid all that I started researching and trying out natural products. My skin is loving the more natural approach! I am the kind of person who likes to have choices (at least two) so I recently picked up a new product Rose Water that I use as a toner and let me tell you… I LOVE it, my skin LOVES it and I am happy! I actually like using Rose Water a lot more compared to what I have been using Apple Cider Vinegar and Water. 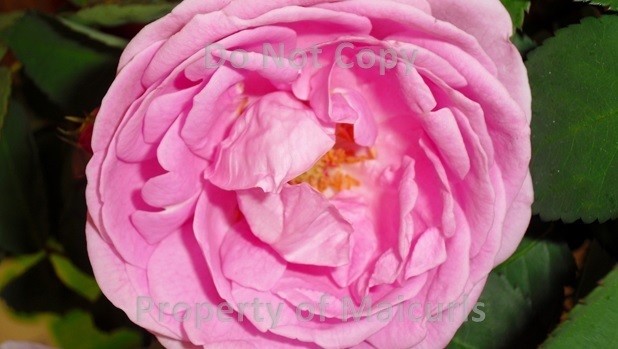 Rose Water carries with it a lot of nourishing and toning properties and it smell 100x better! 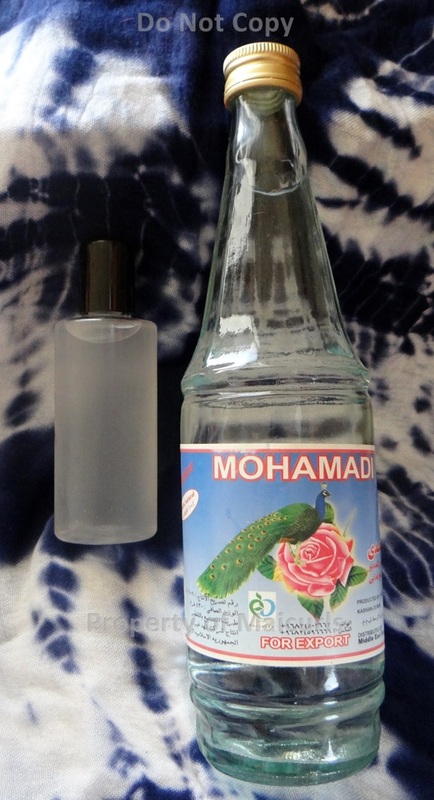 I will have a write-up on the Rose Water soon. I would love to know what your night time routine is for your skin! This entry was posted in Cleansing Natural Hair, Moisturizing Skin, Natural Apple Cider Vinegar Skin Toner, Natural Eye-Makeup Remover, Natural Honey Cleanser, Natural Honey Make-Up Remover, Natural ingredients for skin, Natural Moisturizer, Natural Skin Toner, Skin Care, Skin Care Routines and tagged Cleansing skin, Moisturizing skin, natural skin care routine, Night time skin care routine, Toning Skin on January 16, 2014 by Maicurls.